Why? 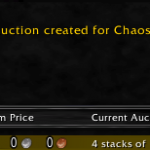 Everyone has forgotten about how cheap these were in WoD and now their price is picking up again. They continue to be valuable bait for players leveling their fishing and fishing artifact. Medium, thick, and rugged leather. How? Buy from alts who are leveling, sell to main characters who are crafting transmog items for sale. How? Buy level 1 battle pets, level them to level 25, sell for at least 1,000g more. Don’t know how to level battle pets? I recommend Xu-fu’s guide and Hazelnutty games on youtube. Yes, these are still flippable! Why? 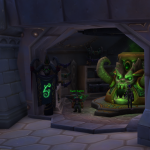 Players are dumping old Warlords of Draenor materials on the auction house. This particular fish is used to craft Draenic Invisibility Potions which sell well to players completing mythic+ dungeons. Alternatively, hire a level 90+ peon (ahem, I mean alt) to fish for you in Gorgrond for an hour. Wait, what!? Buy them for under 20s each when they are free to pick up during Winter Veil (16 December 2016 onwards). Sell them throughout the year for over 100g. Yes, really. All types. How? 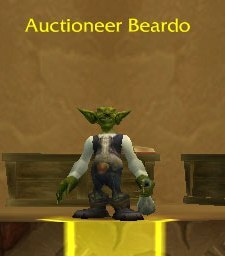 Players leveling their alts or maybe for the first time are dumping singles, odd numbers of these on the Auction House for under 50s. 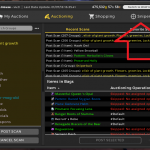 Buy, gather them somewhere until they are at least 20 in a stack, and sell in regular size stacks (100, 20, 10) on the Auction House for 2g each. Obviously this doesn’t apply to expensive herbs such as wildvine, purple lotus. How? 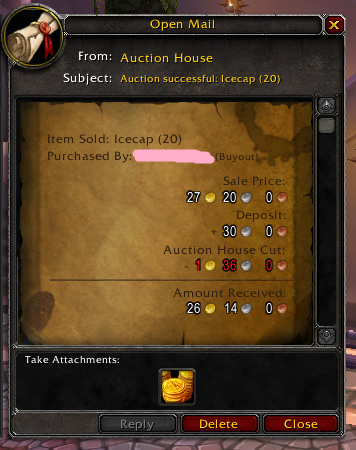 Buy during Darkmoon Faire for very low such as 1g, sell afterwards for maybe 20 times the amount you paid. This chart from the Undermine Journal shows a very dependable cycle of high quantity/low price, followed by low quantity/high price. I started playing around BC, stopped at WOTLK and then recently re-started playing at the end of WOD mainly to get-in on Legion release. I have seen many that are have more gold than me, and I won’t claim that I am one of those with the most gold in the server. However, those many I see are also frequent players who have at least 3 alts leveled and with decked out profs. So, that also require time for toon maintenance not lazy efficient enough for me 🙂 I see kinda the way you trade, it is probably kinda like what I do (the calculated-risk intuition part,) and with the assist of addons, calculation graphs which will make amplify the effect even more. I have 1 toon, and played mainly 1 spec lol. Disc Priest. #manaburn ftw. I rely on reading market trend, see future patch notes and just instinctive. 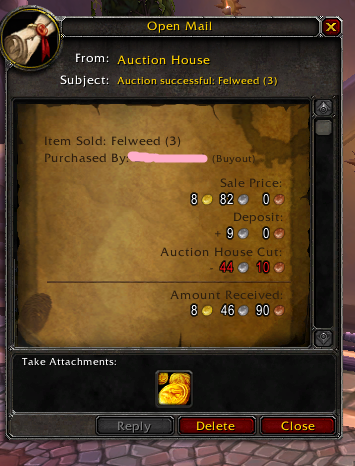 Only use auctioneer addon and a postal addon that let me 1 click open all mail. I believe when I 3-time gold capped during BC, the gold cap was something like 214k or something, I got the number down to a copper. 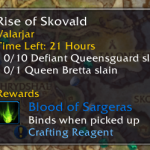 I didn’t raid much and was mainly doing PvP, while camping out the AH during ques. I started with what I made during leveling, after hearing my pvp buddy said how awesome it was to see someone had more than 30k. 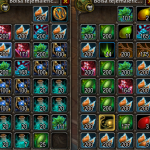 I took up the challenge to make gold at that point, as a side activity during pvp ques. Tried looking around for advices, but most end up being which spot, which prof and what is best to make gold. I end up just using instinct and read the market and trade the AH accordingly. During launch of WOTLK, my acc got hacked and at that point, I just kinda got disinterested in the game with my pvp buddies stopped playing and life got very busy as well. I use the cornering method. So that leads the conversation to mainly mounts trading. Cheap mounts, like gronnlings and Garn Nighthowl I’d wipe and repost up to 250%. Other crafted mounts, I’d make sure I corner all the mats that is needed to make the mounts as well. If I don’t corner, I make sure I encourage the prices remain high so the thought of buying mats and mking your own is not even worth it. With that said, when I find an easy item to trade or flip, I won’t restrict myself either 🙂 I also see a Spec tiger category here. 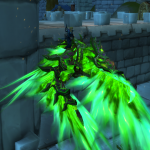 I got mine through a person who was /2 selling the mount at a very low pop moment (3 months before Legion,) and during a very low pop hour as well. 600k was the asking price bargained down to 500k. Still not sure if someone will laugh at me for paying 500k, but I’ve read people are paying 1M upwards for them as well. w/e I like it, I got it. 1. When ask for prof help like xmute specced Alch, BS, Miners etc. It is always better to ask them to do in bulk. That way, tipping 1000g for 200 stacks seemed more generous than tipping 100g for 1 stack. I would almost always get these people adding me as friend; which in turn is a great way to make sure I got all profs covered (by friend’s list :P.) Afterall, the hassle of hearthing, porting, partying up is some of the reason trade chat do not reply to request. So make their time worthed it. 2. Once you’ve used the same fella for a few times, build up a trust so that you can just mail mats to them. I’ve never once complained about proccs, even if I suspect they might have missed one or few. I always tell myself, maybe they have respecced and may not get any procs. I give them the benefit of the doubt. Or I just simply have a different person help me do it. 3. When I am prepared to make some gold gains aggressively for certain purpose, I read future patch notes. Digest them. Then make my plan and see how things fall together. For a simple one, patch 7.2 will see Blacksmith using Demonsteel to make a nice crafted mount. So, stock up Demonsteel, but also continue to follow up incase any small changes that make Demonsteel much easier to get. 4. More capital = easier. Easier to manipulate market. Easier to wipe and lead market prices. I almost always seemed to do the opposite. If the mats are running expensive, I buy a few and repost them 2 ways. Straight out lower price buyout and camp it for a bit. Anyone who posts blindly u will score those. OR, maintain buyout price, but much much lower bid price. Then bid those auto-post/auto-undercut. Also, if a certain mats are lacking in the market, if u have them, post a few up with higher price. Higher prof margin will lure someone to post.